Chameleon Web Services has been given a Grade 8 Award by one of the leading SEO software companies. Majestic SEO surveys and maps the Internet providing valuable data for SEO companies globally. 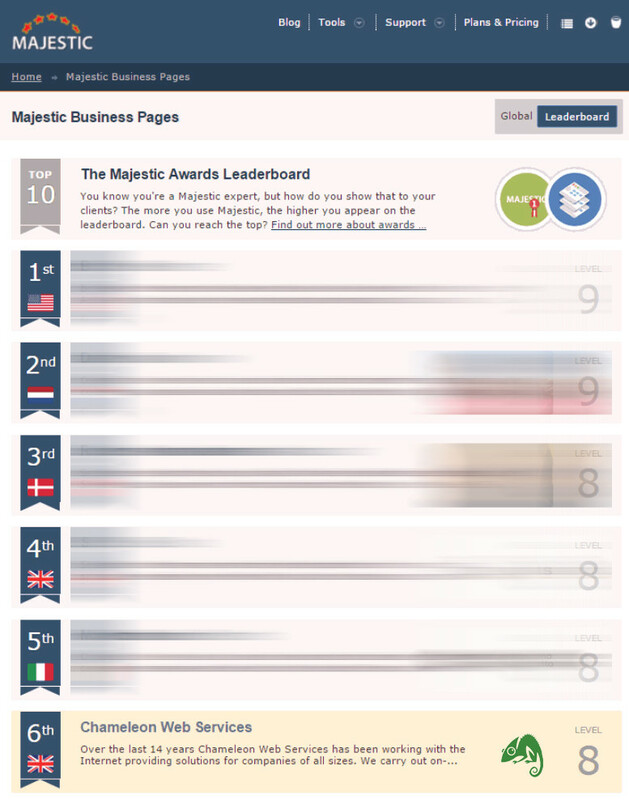 Majestic have the largest commercial Link Intelligence database in the world and this is used by SEO companies and Affiliate Marketers all over the globe. The tools provide access to Link Building, Reputation Management, Website Traffic development, Competitor analysis and more. Link data is a very important part of search engine ranking and being able to understand the link profile of your website and your competition is a must. Majestic is crawling the internet and revisiting web pages, around a billion URLs a day and this information is then all populated into the Majestic database. This information can found here www.majestic.com/business and we have business page here www.majestic.com/business/chameleonwebservices. Why don’t you turn off the PageRank feature in the Google Toolbar?